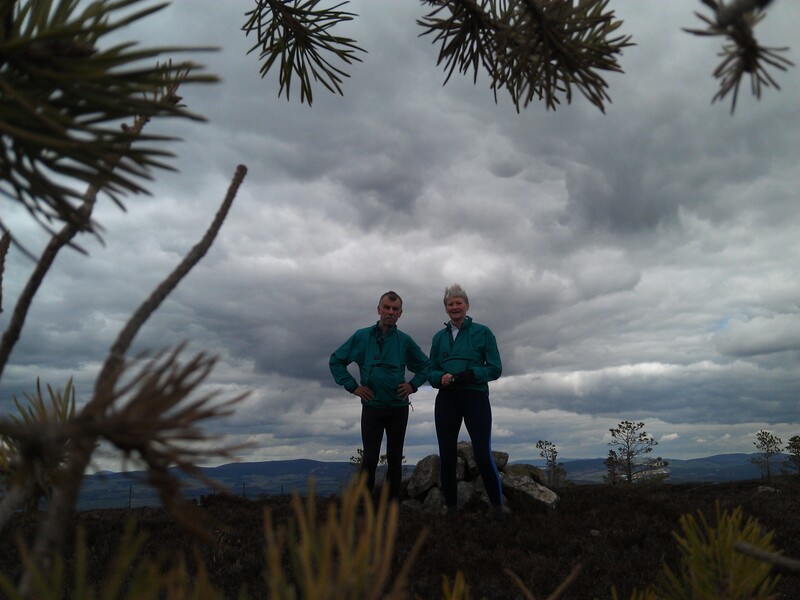 If it had been1!st April would have thought I was being the fool but sure it is May and myself and Gaba had a full blizzard as we tried to run up Black Craig. Tried being the operative word as heather and snow kept pace down, it must have been bad as gaba ignored the deer of which thre were several groups, the first just meters away..
Good news is ankle sort of held up so may be ok for race next weekend. This entry was posted in cp61 and tagged Duncan on May 1, 2015 by site_admin. We took the track from Greystone and collected the two points. 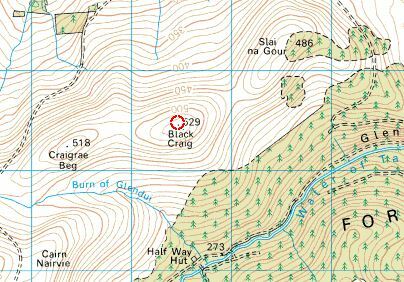 As Derek & Evelyn pointed out there is a track on the south side of the fence which takes you to the top of Black Craig. We then continued to Slai an Gour and followed the fence line to the track to Deecastle. We turned off to the SW at the top of the plantation to bring us directly back to Greystone trying to avoid the electric fence we previously experienced in a night run. Beautiful day for it. This entry was posted in cp61, cp99 and tagged KatieH, MarieE on April 18, 2015 by site_admin. At the gate we found a trod on the north side of the fenceline and then switched to a land-rover track on the south. DaveH and JaneO didn’t like this part but it wasn’t too bad. It was dry for us, maybe that helped. After the cp, we left to the north using a bearing to the waypoint we had taken on the way up at the plantation above Ettrick Croft. Although this meant quite a bit of heather work, at least we were going downhill and cut-off the corner. This entry was posted in cp61 and tagged D&E on April 17, 2015 by site_admin. Summer is here so it’s time to get the mountain bike out. Started from Greystone and slogged my way up the path towards Etnach. At the top, go through the gate and there is a track immediately on the left that goes all the way to the top of Black Craig (and continues down to Halfway Hut). It is all rideable, just about, but is getting very overgrown and it would probably be quicker to run. 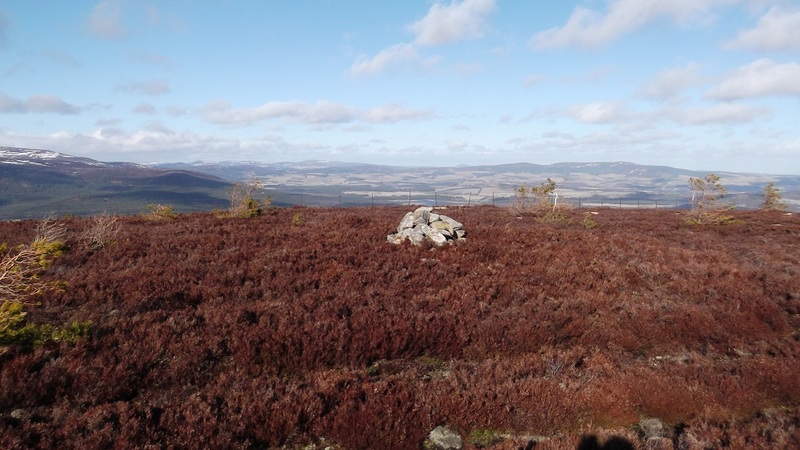 Not that running would be much fun given the deep heather. Returned back to the gate, went back through it and immediately on the other side there is a track that goes down to Ballaterach and near to the rocking stone. 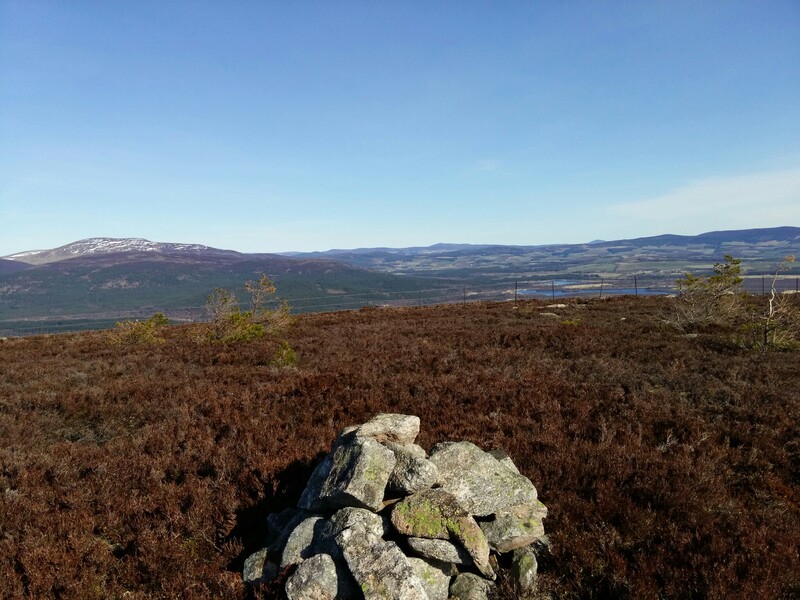 It is indistinct to start with, then very boggy, but just before it starts to go properly downhill there is a big cairn on the left. 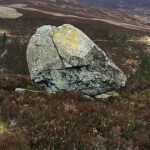 This is as close to the stone as you can get on a bike, it’s only about 200m away. From here down the track is very good riding, although the farmyard at the bottom spoils the experience a bit. Only 13km in total with 400m climb but it took me 90 minutes. This entry was posted in cp61, cp99 and tagged DaveH on April 9, 2015 by site_admin. Parked at Deecastle ,ran along the road to Tombae then up the track , through a bog and then following the fence line to the top , through horrible Heather. This really is a very unpleasant climb. The compensation is the views from the top and total peace and tranquillity of the hillside. This entry was posted in cp61 and tagged JaneO on April 5, 2015 by site_admin. 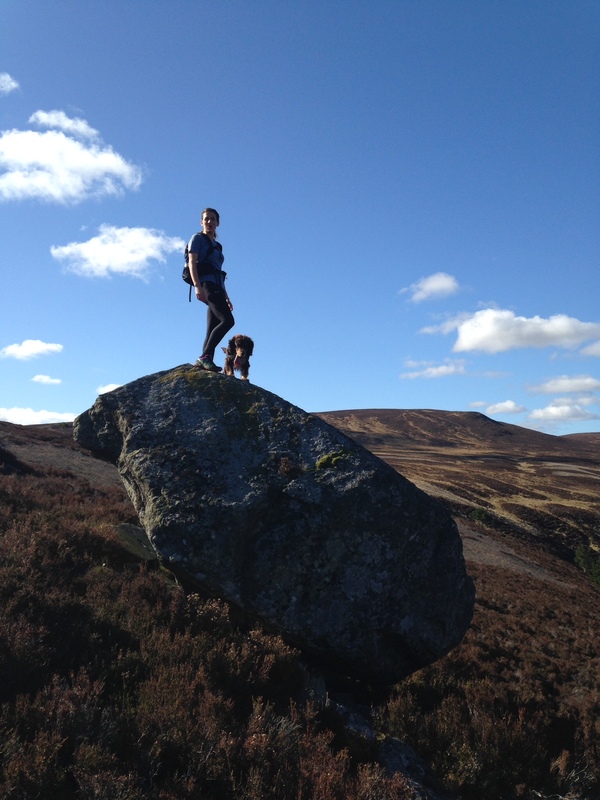 Fri 6th March – a windy day up to the Big Stane or Rocking Stone. Then on to Black Craig with the wind in my back. Good run off the tops to the east but then took a ‘shortcut’ through the heather – not recommended. This entry was posted in cp61, cp99 and tagged Warren on March 11, 2015 by site_admin. 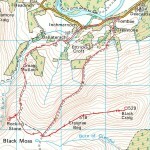 With no path shown on the map, I started my ascent of Black Craig from the old drove road to Glentanar at Tombae. 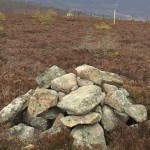 When I reached the conifers I struck up through the heather until I reached a fence then followed it up to the summit. 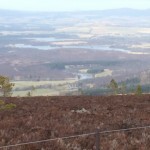 There I found a track of sorts which appeared to go down to Glentanar. Fine views again. Lochnagar looked stormy. I spotted a jay, a flock of fieldfares, four greyhens and a red grouse plus three roe deer. This entry was posted in cp61 and tagged Phil on February 26, 2015 by site_admin. 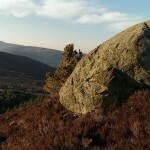 Great time up Black Craig from s deeside road, then on a slightly “erratic” path down to the rocking stone, through heather and snow. 3 deer, lots of sheep and a herd of highland cows. This entry was posted in cp61, cp99 on February 7, 2015 by site_admin.